Over 430 students to be sent abroad for on-site learning linked with majors, exploring overseas companies, etc. YU students will enhance their global capacities to kick off 2019. Students will be sent around the world through the overseas dispatch programs supported by YU during winter break. Over 430 students will go abroad during the winter break. 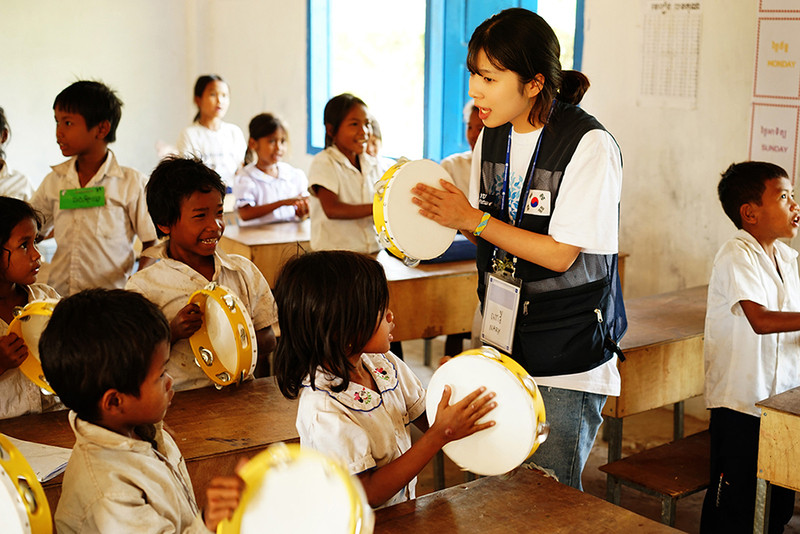 The ‘Overseas Volunteer Corps’ is one of the most famous overseas dispatch programs of YU. Over 2,630 students participated in this program over 35 sessions in since 2001. 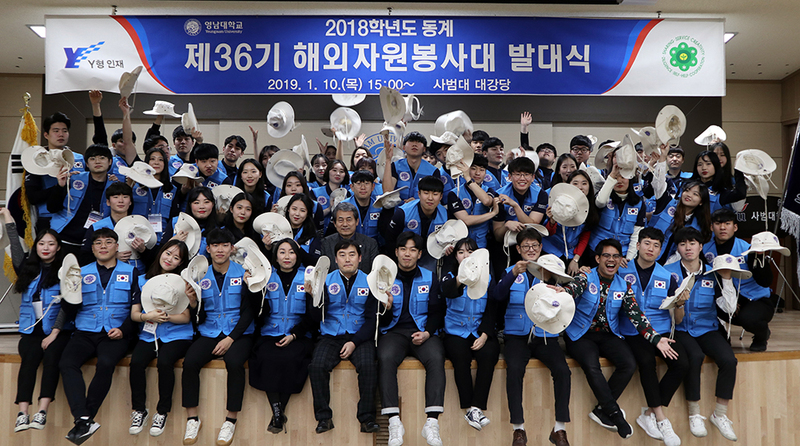 This winter break, the 36th Overseas Volunteer Corps made up of 58 volunteers will go to Laos, Vietnam and Indonesia to engage in volunteer activities. They held a launching ceremony at the YU College of Education auditorium at 3 p.m. on the 10th and will go to one of the three countries in January for two weeks. These volunteers will go to local elementary schools to help with education in arts, physical education and culture, while also volunteering in environmental improvement activities. 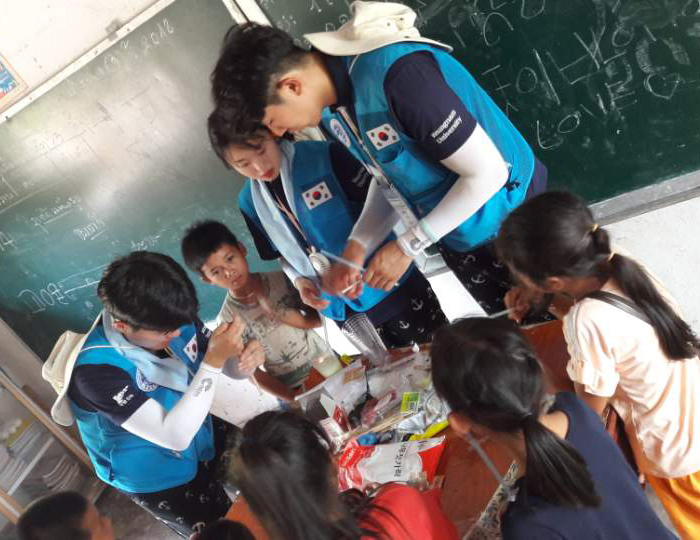 In particular, the volunteers will teach students Korean language and traditional Korean games in order to spread Korean culture. The most popular program among students from the overseas dispatch programs supported by YU is ‘Window To the World’. ‘Window To the World’ is popular as a backpacking program where students make teams and set their themes and go abroad. The selected students are given round-trip airfares by the university. This began in 2002 and over 2,640 students traveled to different parts of the world. This winter break, 139 students made teams of twos and threes to go backpacking to different parts of the world including Europe, Australia and China. In particular, focus education on foreign languages including English and Chinese will be provided to students going abroad for Window To the World from this year in order to maximize short-term overseas training effects. ‘OPP’ (Outbound Pilot Program) is another overseas dispatch program proudly funded by YU. This is a prior short-term language education program for students who are interested in studying abroad or participating as an exchange student at an overseas sister school. 1,730 people participate in the OPP since it was first offered in 2009. This winter break, 88 students will be sent to the Philippines for four weeks through the OPP. In addition, over 150 students will go to the United States, England, Australia, Vietnam, Japan, Taiwan and Mongolia through overseas internships, exploring overseas companies, technical exchange with foreign universities, short-term language programs, and overseas start-up network programs. Thus, a total of over 430 YU students will go to different parts of the world this winter break.